Justin Baker, the product designer, is explaining how to add realtime capabilities to your products and build realtime APIs. After defining the realtime concept, author schematically shows the ideas lying behind the data push, HTTP streaming, websockets, webhooks, HTTP long-polling. A reader also gets a list of the libraries and possible IaaS solutions. Cody Reichert is discussing the web performance testing. 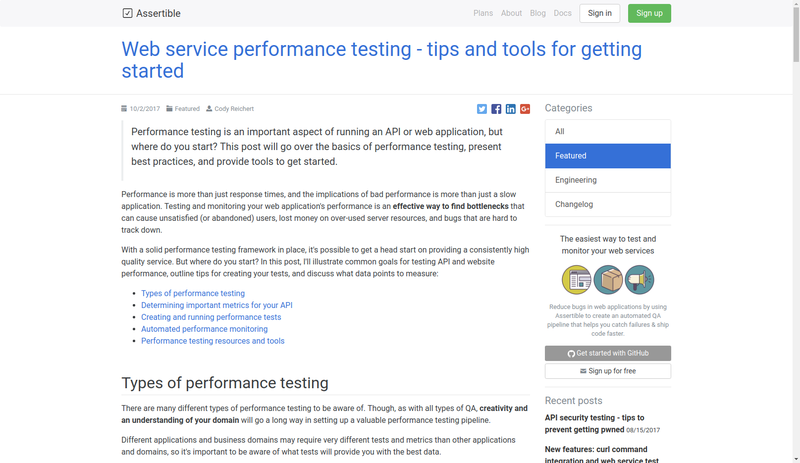 It is no surprise that testing is an integral part of running an API or web application. The article is a guide for beginners as it gives a short overview of the main types, key metrics and important terms regarding web testing. Temporal logic of actions is a formal specifications language to design, model, document, and verify concurrent systems. In the article, Kin Lane is explaining how it can be used for APIs. The readers get another chance to turn on their creativity and think how TLA+ may fit in the API world. Mohamed El-Geish explores lessons learned at big companies like Microsoft and LinkedIn and adapts the insights drawn from them to fit a fast-growing startup. 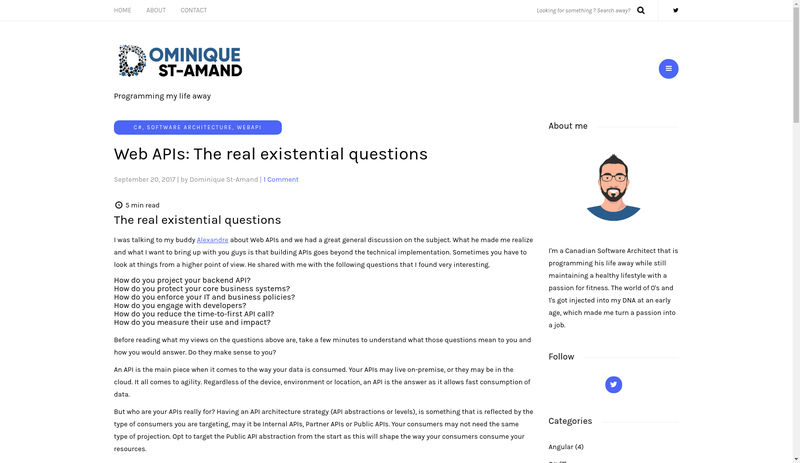 Dominique St-Adam, a software architect from Canada, is providing readers with some food for thought. Building APIs goes beyond the technical implementation, he claims. Sometimes you have to look at things from a higher point of view. 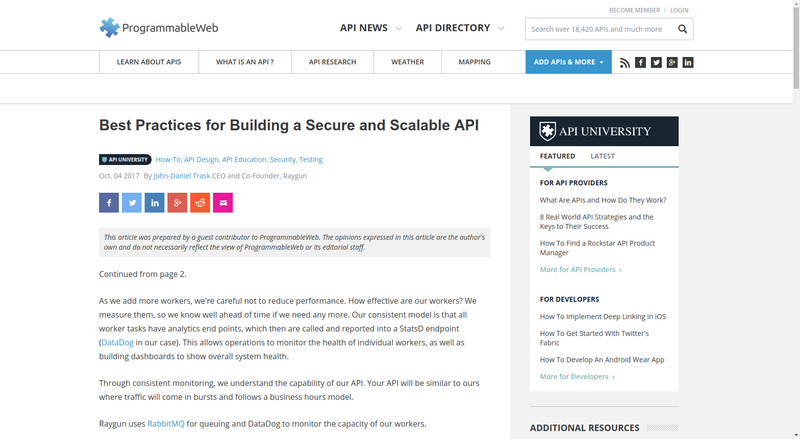 To fully realize all the aspects of your API, answer the suggested six questions. 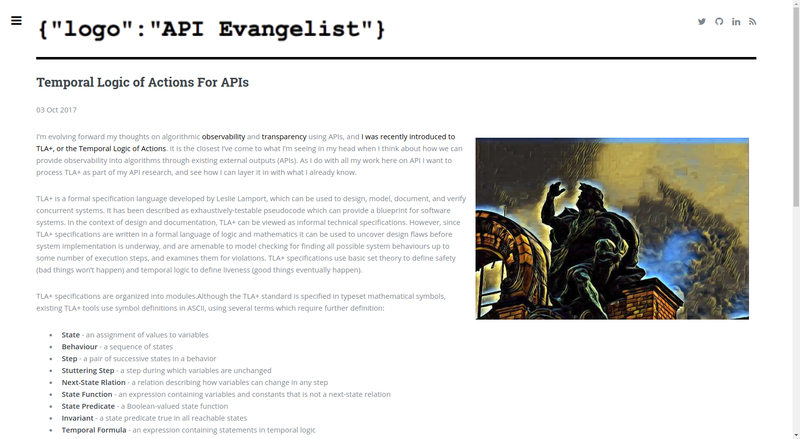 Art Anthony is giving an overview of the API Manifesto, published earlier in 2016 by Finnish developers. 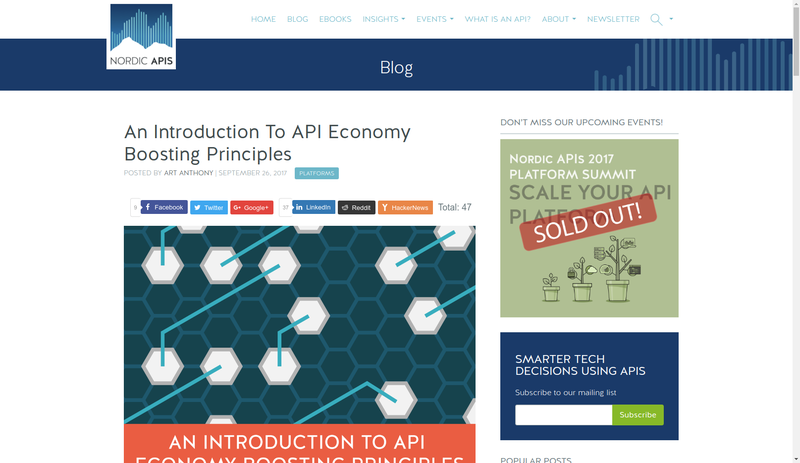 It contains 7 API economy boosting principles. 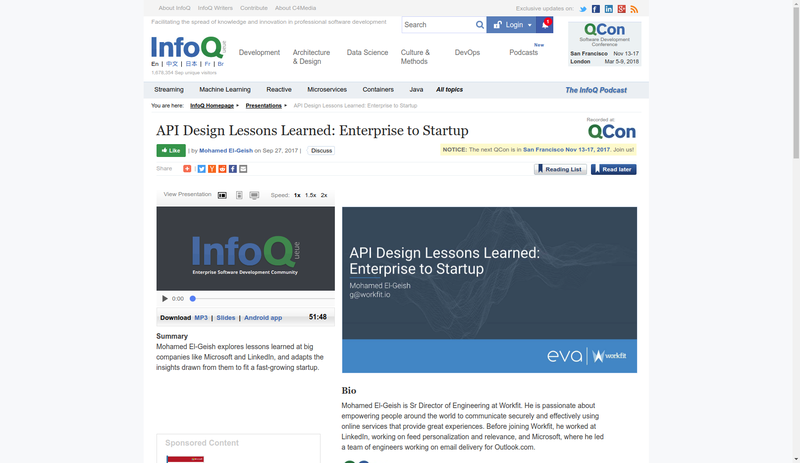 The article both provides an overview of each point and considers how it applies to API production in a broader sense. 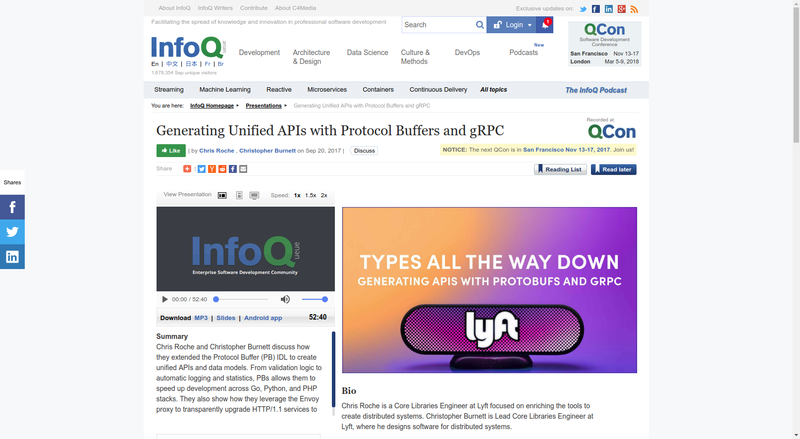 Chris Roche and Christopher Burnett discuss how they extended the Protocol Buffer (PB) IDL to create unified APIs and data models. From validation logic to automatic logging and statistics, PBs allows them to speed up development across Go, Python, and PHP stacks. They also show how they leverage the Envoy proxy to transparently upgrade HTTP/1.1 services to speak gRPC on the wire. 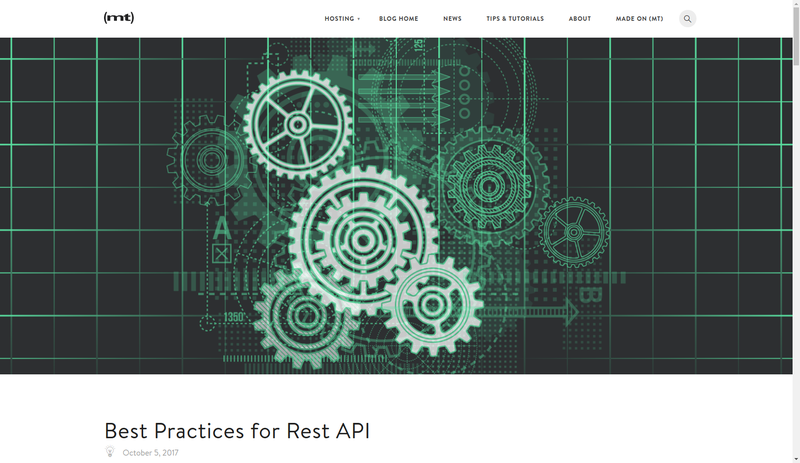 Alex Ivanovs from the Media Temple is contributing to the industry of API development by discussing some of the most efficient practices for REST APIs. The author provides some generally applicable recommendations which are yet very useful. 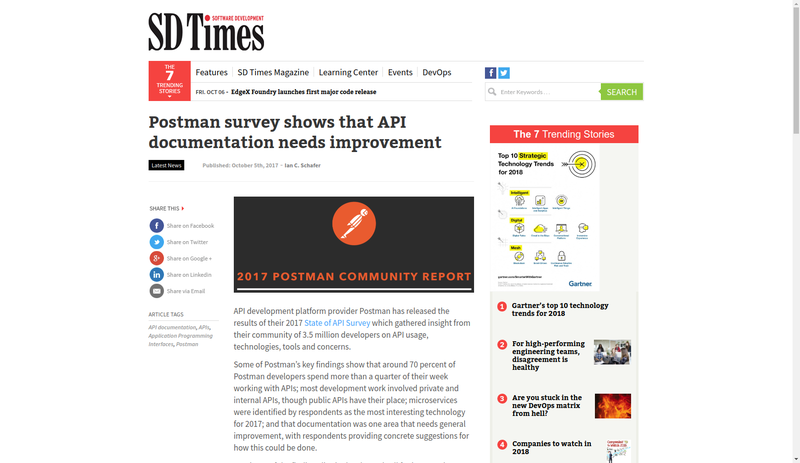 API development platform provider Postman has released the results of their 2017 State of API Survey. They have gathered insights from their community of 3.5 million developers on API usage, technologies, tools, and concerns. If you are wondering what the key findings are, do not hesitate to check it out. Oh, and do not forget to find a way to use your knowledge. John-Daniel Trask, a CEO and co-founder of the Raygun, is sharing his experience in the form of a long-read regarding the best practices for building APIs. In the article, special attention is paid to the security and scalability. 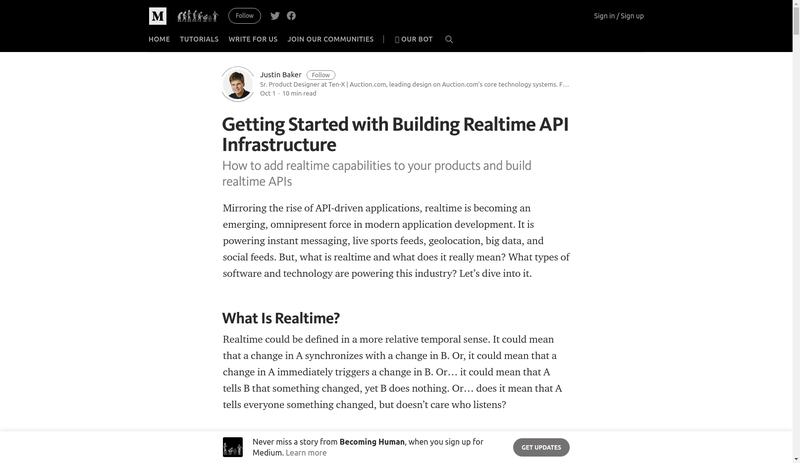 To get the most ROI out of API engaging, it’s necessary to build a developer community. 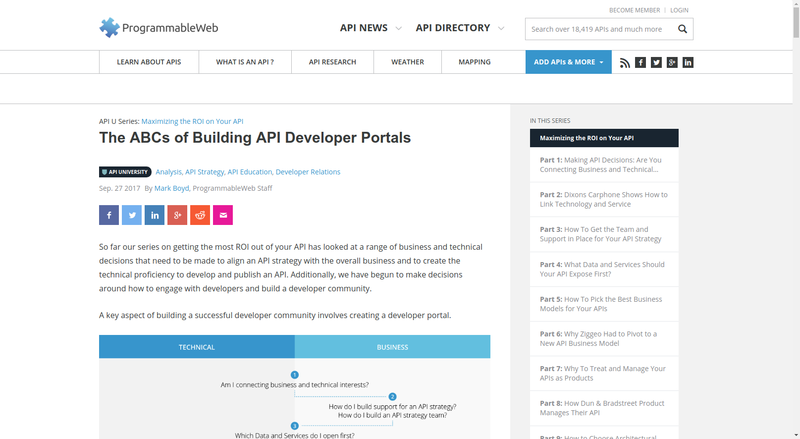 A key aspect of building a successful developer community involves creating a developer portal. How to make a good one? Check out the article by Mark Boyd immediately. It provides an in-depth look at the main questions you may ask yourself when building an API developer portal. If you are interested in getting latest news in the API world, check our digest #77 and 78 as well as stay tuned for the new blog posts .